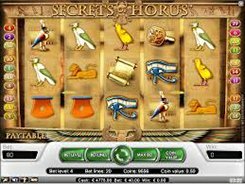 A fairly simple in terms of features and gameplay, Secret of Horus is an Ancient Egypt-themed slot with 5 reels and 20 paylines. 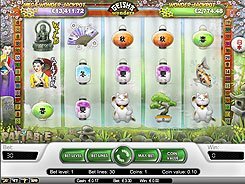 All the reel symbols are based on the theme of the slot and include a sphinx, a parchment leaf, rings, the Eye of Horus and other theme related icons. Before any spin in a normal game you can adjust the following bet options: a coin value ($0.02 to $0.5), the number of coins (1 to 4), and the number of active bet lines, thus you can place a stake ranging from $0.02 to $40 per spin. 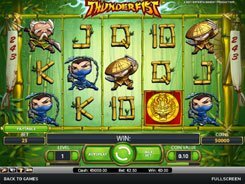 The slot features a scatter symbol that unlocks 15 free spins if three or more scatters appear in any position. 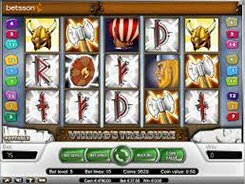 During the free spins all wins are tripled. 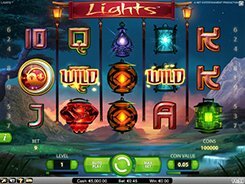 Look out for a wild symbol as it substitutes for other non-feature symbols and pays out the slot’s biggest prize of 10,000 coins ($20,000 if playing at max). 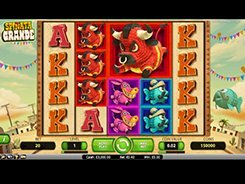 To win the grand prize, you need to hit five wild symbols on an enabled bet line. Besides, a wild doubles payouts when acting as a substitute in a winning combination. PLAY FOR REAL MONEY!